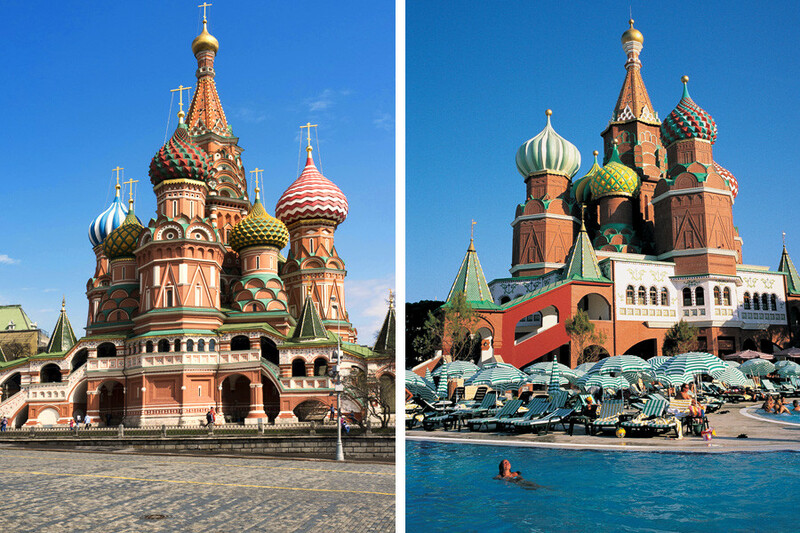 Would you like to swim in a pool near St. Basil’s Cathedral, or take a selfie with the biggest matryoshka? How about go aboard the Mir space station? It can all be done, but none of this is in Russia. Just imagine: you’re Russian, you’re on vacation in Turkey and you miss the Kremlin. There’s a hotel in the Kundu district of Antalya that solves your problem. Russians certainly won’t be missing home here. “We built WOW Kremlin Palace inspired by the original in Russia in order to give you a chance to feel the magnificent atmosphere, and to discover the home of the Russian czars,” the hotel owners wrote on their website. 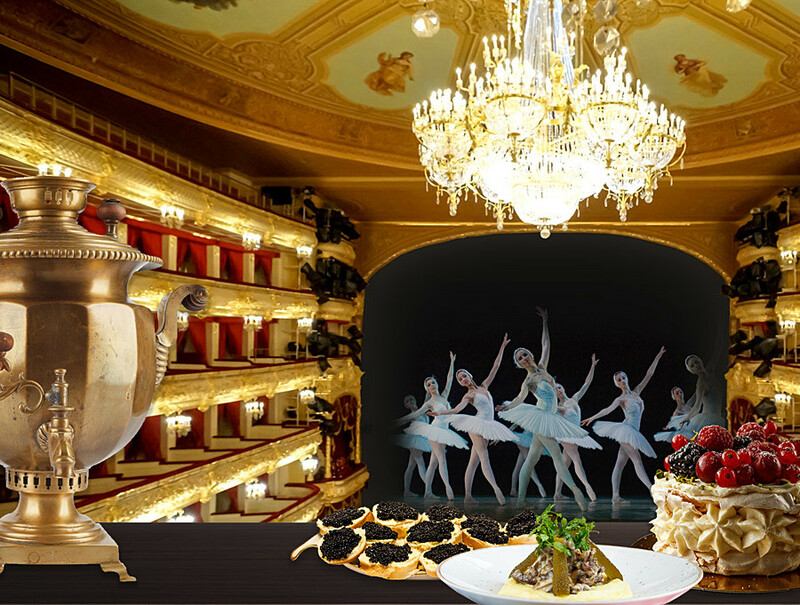 Besides a replica of the Kremlin and St. Basil’s Cathedral with a swimming pool, guests can enjoy a miniature Bolshoi Theater, State Historical Museum, and other Russian-style buildings. The small town of Soroki in Moldova is located near the Ukrainian border. Most residents are gypsies who built luxurious mansions, which attract tourists from around the globe. 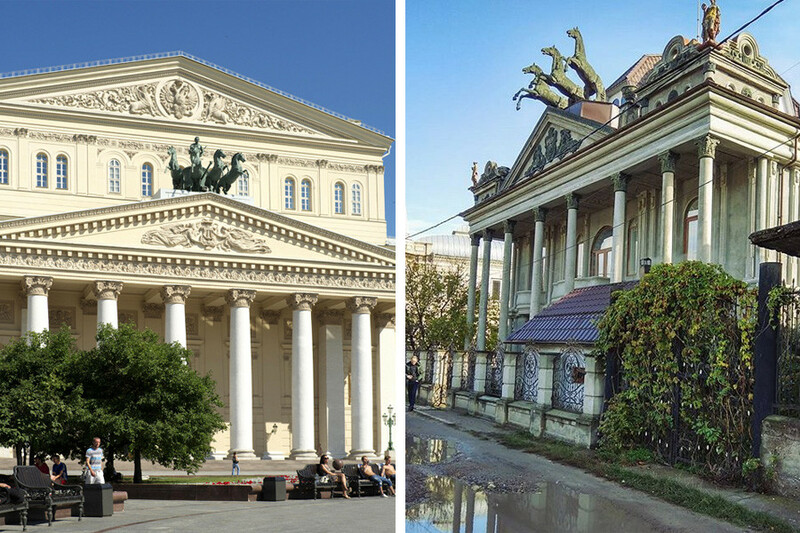 Among the surprises are the White House, St. Isaac’s Cathedral and the Bolshoi Theater. China is notoriously good at making copies. In 2013, Chinese developers decided to build an office complex in Mentougou (18 miles outside Beijing) that was inspired by the Kremlin. One of the four extravagant buildings is home to the Mentougou weather bureau. 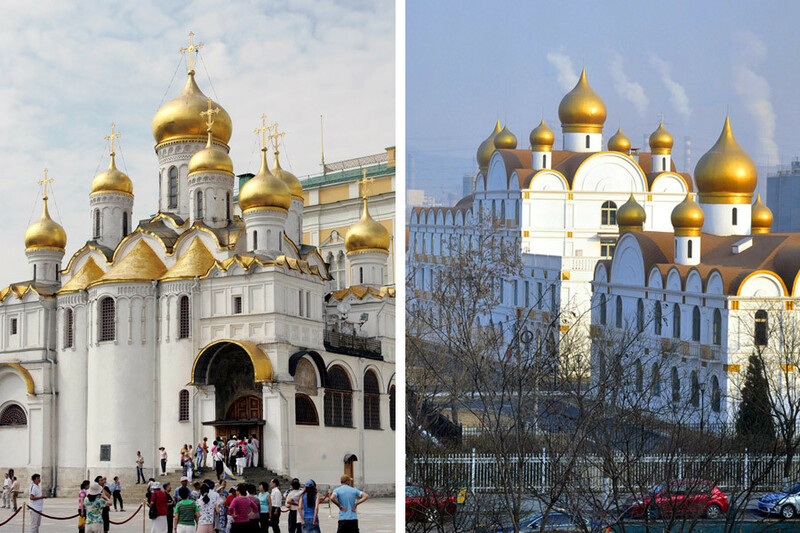 The complex resembles the Kremlin with its golden domes and arched windows. The only difference is the absence of crosses on the domes. According to media reports, the local government spent at least 30 million yuan ($4.94 million) on the buildings. Manzhouli is located only three miles from the Russian border, so no surprise that many Russian tourists come here. But they might not realize they’ve left Russia. 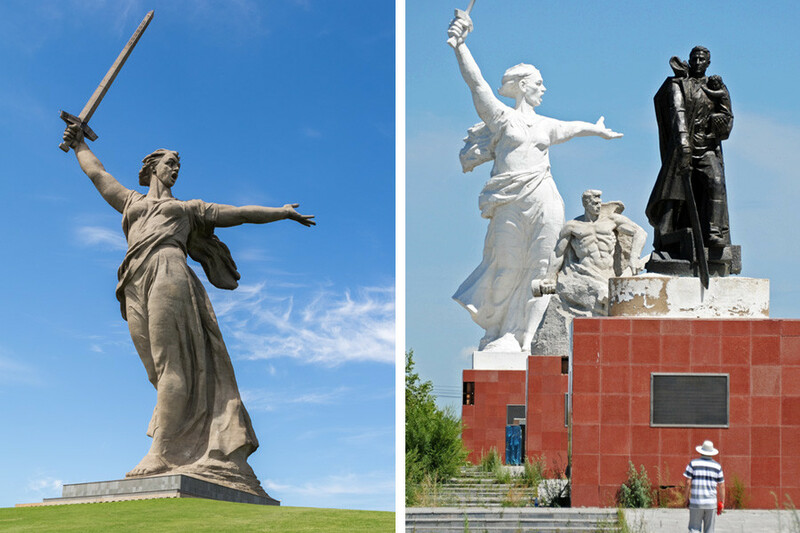 Here, they can see dozens of copies of famous Russian monuments, including the famous Bronze Horseman (St. Petersburg), the 30-meter high Motherland Calls monument (Volgograd), and the Worker and Kolkhoz Woman (Moscow). There are also several monuments to Russian classical writers: Alexander Pushkin, Ivan Turgenev and Alexander Ostrovsky. They’re not 100 percent perfect replicas, but the park of sculptures is still impressive. A fantastic collection of the largest matryoshkas in the world is found in the same Chinese town. These Russian dolls are huge: 25-30 meters tall. 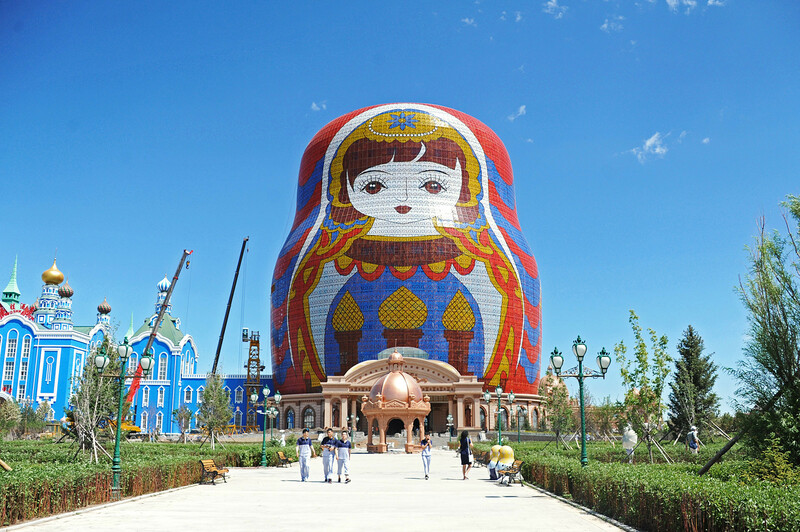 In total, there are about 200 Russian dolls of different sizes with shops and restaurants inside. Also, there is a Russia Art Museum and a copy of the Hotel Moskva (the real hotel in Moscow is now called the Four Seasons). 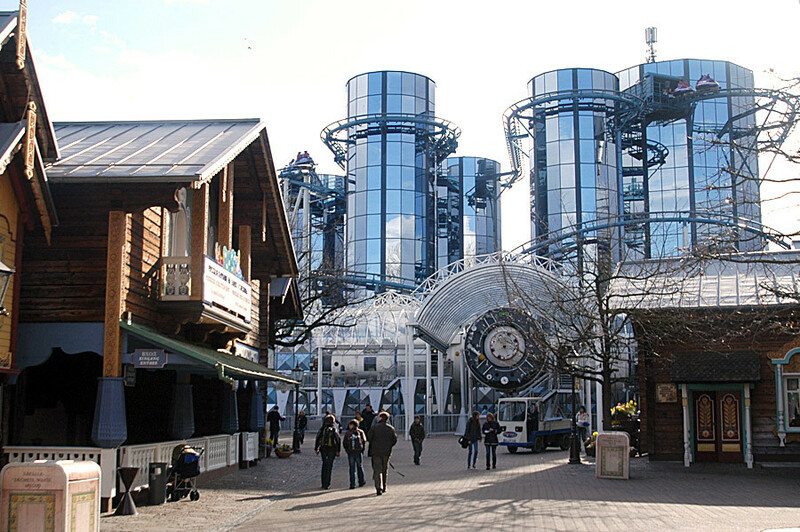 The famous Europa Park in the German city of Rust is home to the Mir space station, and a copy of the training center for Russian cosmonauts. There is also a space exhibition and spaceship interior. Among other interesting pavilions are a Russian railway station and a Russian village where visitors can learn traditional handicrafts and even ride on a sleigh. According to Norwegian media, this project is the brainchild of local entrepreneur, Kåre Tannvik, who suggests plunging into Russian culture without crossing the Russian border, which is only a 15 minutes drive away. What are the tallest man-made structures in Russia?